Pulsar Instruments’ Safety Professional noise measurement system offer Safety, Health, Environmental and Quality (SHEQ) experts a custom-made solution for resolving their complex workplace noise risk assessment issues. Currently, employers are required to assess the risk from noise exposure levels for their workers and visitors under the EU 2003/10/EC Directive on Noise. Those who have the responsibility for Health and Safety in the workplace are required to produce a report with a prioritised action plan to highlight how the organisation will eliminate or minimise these hazards. Measuring noise levels in a work environment can be achieved effectively by either using a sound level meter or personal noise dosemeter. In some cases, one may be more suited than the other to a specific task or location and, by opting for a combination of both, safety professionals will cover every occupational application. 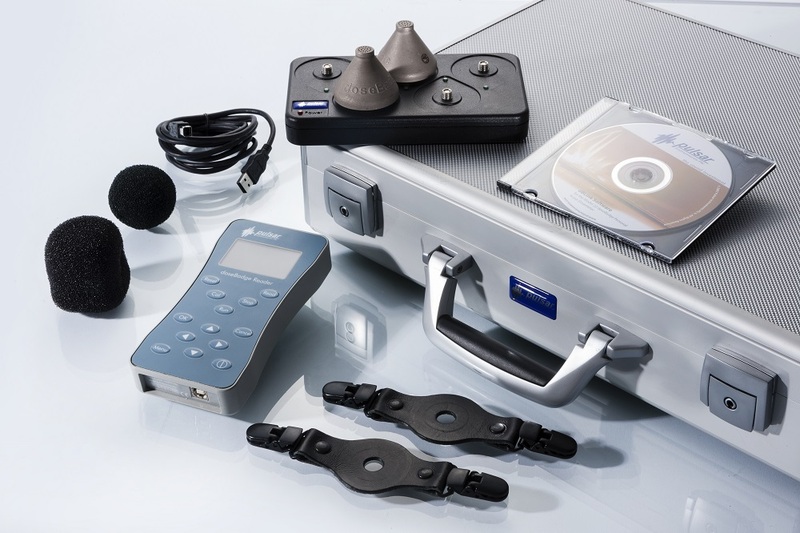 Sound level meter, noise dosimeter or both? Sound level meters are ideal for quick or in-depth noise level assessments in a factory for example to ensure compliance with the regulations. They are used also to assess that noise levels are kept in check and to help with the prescription of hearing protection. With a sound level meter, a representative measurement of the average sound level (also known as the ‘A’ weighted Leq) for each typical activity or workstation is made. For best practice, the sound level meter is held at arm’s length, and measurements are taken at the operative’s head position, 100mm from each ear in turn and pointing at the noise source. Pulsar have a number of sound level meters designed specifically for compliance with the 'Control Noise at Work Regulations (2005)' such as the newly released Pulsar Nova range, or the more established Pulsar Assessor and Pulsar Quantifier ranges. 2. Noise dosimetry: is it the right tool? A noise dosimeter can be used when measurements with a sound level meter would be difficult or virtually impossible. 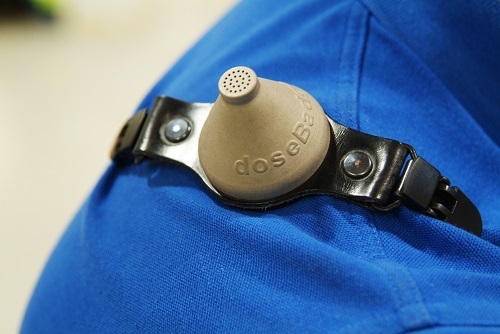 The device is fixed to the shoulder of a worker during their entire shift. It gives the total exposure accumulated during the time worked (expressed as LEX,8h). Dosimetry reflects the reality of the working day and will capture noisy lunch breaks, machines used ‘incorrectly’ etc. Over time, people will forget they are wearing systems such as a Pulsar noise doseBadge and will revert to ‘actual working practices’ rather than ‘working by the book’ which they do when they are being monitored for short periods. In some cases, the noise badges are not even switched in during the first day of use. Choose the right Pulsar sound level meter for your application and ensure that you cover the entire spectrum of noise measurements by adding noise dosemeters to your kit. A few noise dosemeters will come useful to you especially where workers are regularly moving from location to location (building sites), working unsociable hours (night shifts), using moving machinery (diggers or cranes) or employed in difficult to reach areas (music arenas). This complete Pulsar Noise at Work safety professional system is housed in one easily carried hard carrying case with everything you need to carry out a comprehensive noise survey. Most noise measurement instruments supplied by Pulsar come with reporting software to help you download noise measurements and quickly produce a variety of automated, yet comprehensive reports. Clear basic measurements, time history information and graphs, automatic hearing protection selection calculations or exposure calculations are just a few of the templates available to you a few clicks away. If you would like to know more about the Noise at Work Regulations or should you wish to purchase a compliant sound level meter, noise dosimeters or a Safety Professional noise measurement kit, go to www.pulsarinstruments.com. Pulsar Instruments designs, manufactures and supplies compliant noise monitoring equipment for health and safety professionals, and can help you find the perfect noise at work monitoring solution for your business. To speak to an advisor, please call us now on 01723 518011 or send us your request via the contact button of our website.